Pocket Gamer Connects London is around the corner. So what will be this year's hottest topics and which talks should not be missed? Pocket Gamer Connects is the biggest and most influential mobile games conference in the west. It gathers together a wide range of representatives from the entire global mobile games ecosystem in cities across Europe and the US to share their insight and advice, discuss the hottest topic, and generate business opportunities. Next week, Pocket Gamer Connects is heading to London where we can expect over 2,000 paying delegates from over 50 countries to learn and engage with experts from all over the world. The event covers everything, from how to find funding as an indie developer, to merger strategies, to global trends. So what will be this year’s hottest topics and which talks should not be missed? The east is going to have the spotlight at this year’s PG Connects. The “East Meets West” track will contain sessions about the biggest Asian markets – including China – and critical insights into how to successfully venture into eastern markets. Naturally, we couldn’t miss the opportunity to share our expertise on how to succeed in the Asian market. On the 22nd January at 3:20 pm, Christian Atack, our Head of Publisher Business Development EMEA at Mintegral, is going to give an essential guide on how to market your mobile app business in the Asia-Pacific region. But we’d also like to tip our hats towards the panel providing a “how to” guide on publishing in Asian markets. Featuring a range of experts from Marvellous, JoyPac and Chorus Worldwide, it will likely be a solid primer on how to break into the region. AI marketing – the future of marketing, TODAY! It’s no secret that artificial intelligence is going to transform the world. When so many giants such as Google, Apple, Samsung, and Alibaba are all pinning their hopes on the artificial intelligence revolution, it makes the singularity a little hard to ignore. But what’s more interesting is that AI is already being used in marketing and there is a dedicated session in the PG Connects agenda to help you find out exactly how it’s working already. 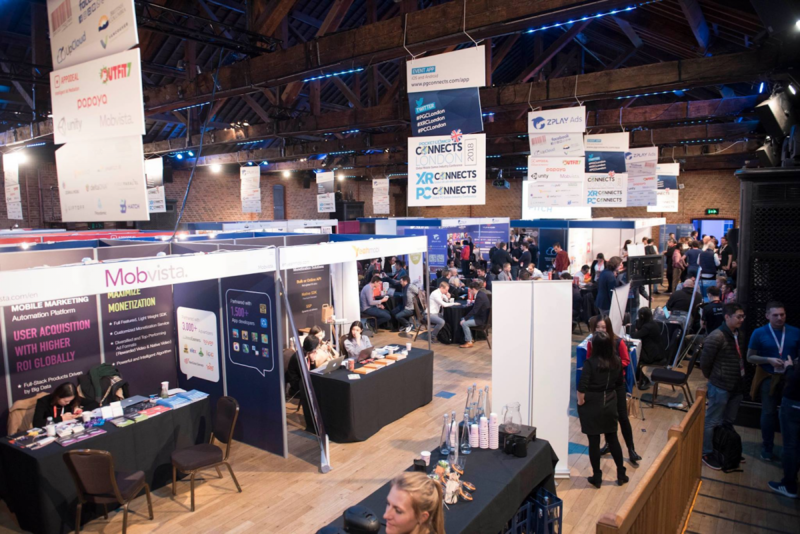 On the 22nd at 3:40 pm, Nick Gibbons, co-founder of Creadits, will be talking about how his team built a creative machine for the digital marketing landscape of today and how it changes the way his team (and the industry) is likely to spend ad money in the future. Blockchain – the end of the cryptocurrency conversation? Blockchain continues to spark debate but not in the way we used to know. Gone is the massive hype (and in some cases, unjustified hype) about how the blockchain will lead to the emergence of world-changing cryptocurrencies. But in its place, is something more interesting for developers to consider. According to John Linden, co-founder and CEO of Mythical Games introduces “Player-Owned Game Economies” how blockchain is going to impact the fundamental economics of the games industry through player-owned economies. As gamers seek more tailored, immersive and engaging experiences in their game worlds. And in the process, they want more ownership of it. Linden will explain how he believes blockchain could revolutionise the sector in this way. But he may have to get through some scepticism about the likelihood – or at least the length of time – it’ll take to achieve such a vision. The emergence of the Hypercasual game genre has been one of the defining recent developments in the global video games industry. The snack-sized games – lightweight, instantly playable and very addictive – have driven serious growth throughout the global market as a result of ad-funded monetisation approaches. But what business benefits can game developers get from focusing on the mobile hypercasual game genre? And how can they master creating the kind of experiences that players can’t put down until the next hypercasual hit lands on their phone? Vincent Pagnard-Jourdan from MoPub and Céline Droit from Voodoo – the creators of Helix Jump, Paper.io and Dune! – are going to get to the bottom of this on the 21st at 12 pm. Finally, we think that it’s worth spending a bit of time thinking about your influencer marketing strategy at PG Connects. Getting influencers on board with your game is a clearly important reason for success in the mobile gaming market. But with mobile marketers having to compete for time against other game marketers, increasing costs forcing companies to consider spend carefully and automation starting to disrupt the space, it’s worth taking stock on your influencer marketing strategy. Fortunately, Dmitry Liapin of Zorka.Mobi will be showcasing their ultimate influencer marketing tool on the 22nd at 4:20 pm to help you get to grips with the changing state of influencer marketing. As well as giving a brief overview of the space, he’ll talk about how automation within the influencer marketing space works, identify pitfalls and help guide the audience past it. And with the promise of audience interactivity, it sounds like it is a session that shouldn’t be missed. Are you attending this year’s event? We are. Find us at booth G15, and speak to a member of the Mintegral team.